T-327 is a tube Distortion effect for electric guitars. The device has two channels: Crunch and Overdrive. The device has a wide dynamic range and can produce a crunchy rhythm tone or a natural sounding tube overdrive, while preserving the natural sound and dynamics of the instrument. The T-327 gives sound extra punch and allows to precisely control the moment when harmonics appear. 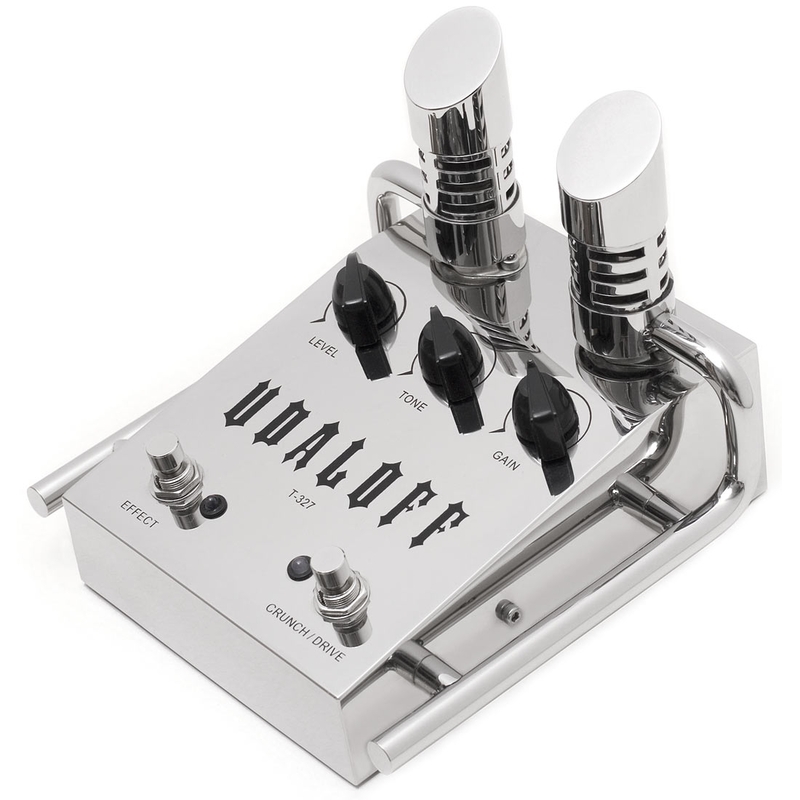 This effect unit is very responsive to playing dynamics and can make the loud notes better cut through. Mini switch – changes the structure of the sound’s grain.